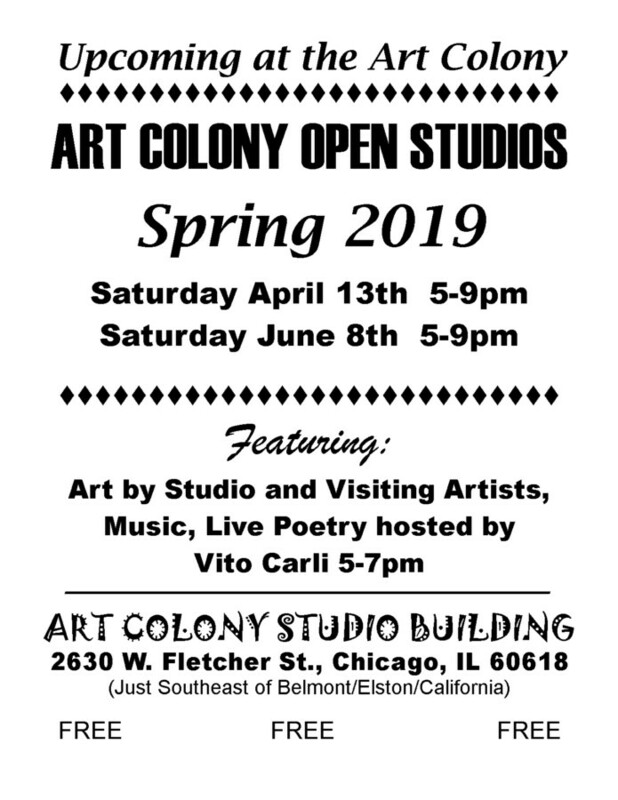 The Art Colony Studio Building is presenting their April 2019 Art Show. Poetry with Vito Carli 5-7pm. Opening is on Saturday, April 13th, 2019 from 5pm to 9pm. Come see our Studio and Visiting Artists, and visit the Studio / Gallery spaces.